I mentioned before that I bought a big heap of plums, 2kg to be exact. 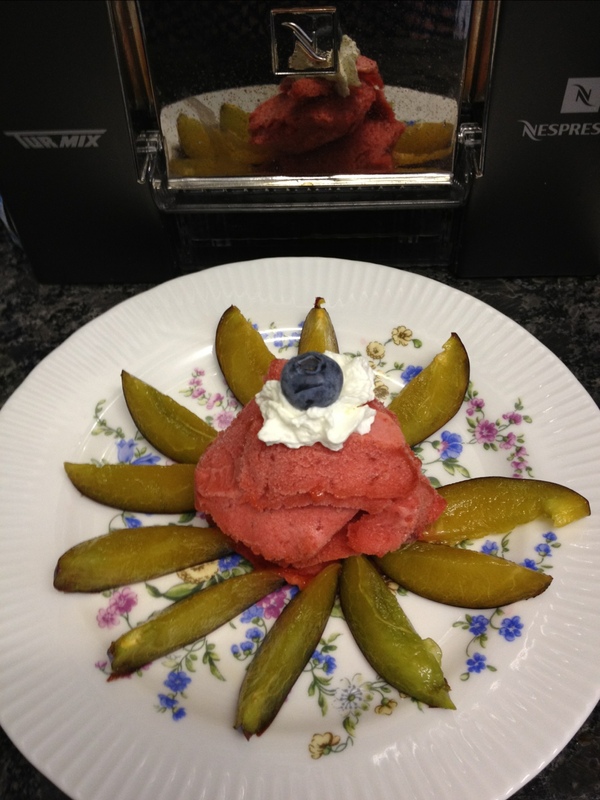 Today I thought it was time to put the ice cream maker into action again and made a plum sorbet. 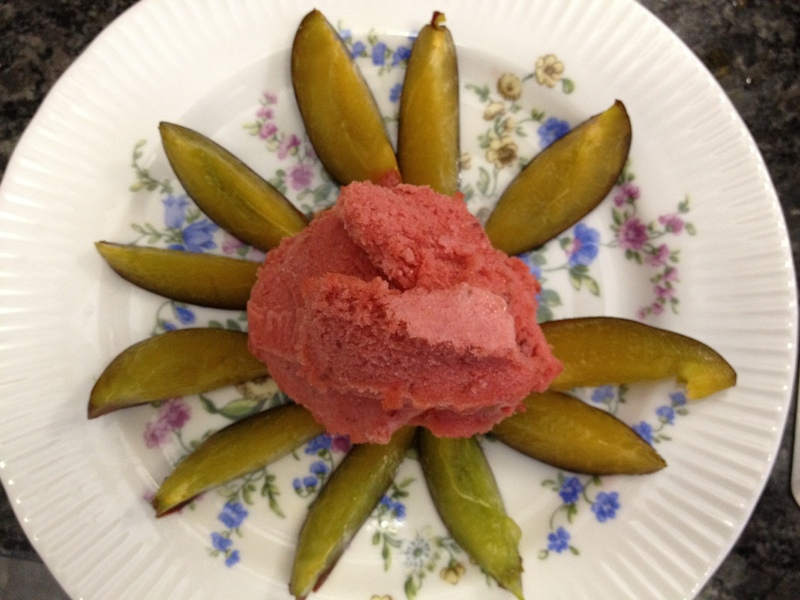 The sorbet is very easy to make. 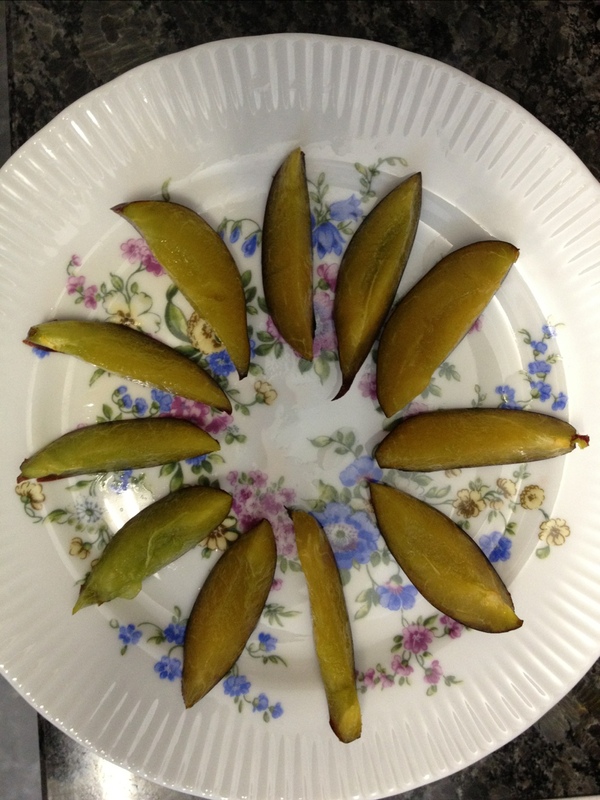 Simply dissolve 100g sugar in 1dl of water, bring the sirup to a boil and add 1 cinnamon cane and 350g (destoned) plums. When the plums are soft, remove the cinnamon and purée the plums and the sirup in a blender. If you want to remove bits of skin, pass the mix through a sieve. I did not bother because I like the odd speck of purple plum skin in the pink purée. 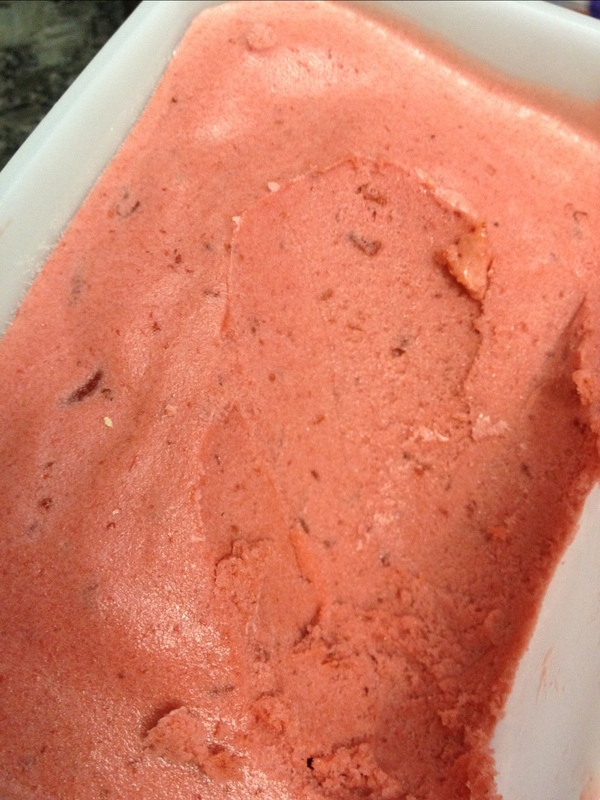 Once the purée was cooled down I put it into the ice cream maker until it reached the consistency of soft ice. After a further hour in the freezer it was ready to serve. Very nice and just the right balance of sweet and tarty flavours. I desperately need an ice cream scoop, though, to make future ice cream dessert more pleasing to the eye!